Following our incredibly successful ‘Snow Queen’ last year, we are presenting another fantastic two-person pantomime – ‘Red Riding Hood’. 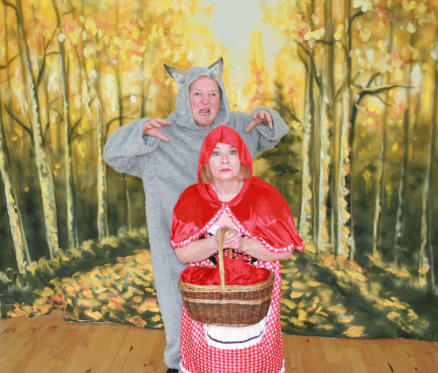 Kind Red Riding Hood goes to visit her poorly Grandma with a basket of food but encounters a greedy Wolf who is intent on eating not only the food, but Grandma and Red Riding Hood too! But don’t worry, as with all Troubadour pantos, it ends happily for all three characters. Filled with great songs, some festive favourites and lively music from the films and shows, Little Red Riding Hood will be the highlight of your Christmas celebrations. Available from 10 until 31 December 2018.